A Customer Lifetime Value Analysis (CLV) is a solution that assigns a lifetime value to a specific customer by considering the value they’ve added to the business historically and the potential value they’re likely to add in the future. WHAT CAN A LIFETIME VALUE ANALYSIS HELP WITH? Beyond these two factors, there are many reasons a client would be interested in getting a sense for the value that individual customer groups add to the business. At the beginning of a CLV project, Datamine sits down with the client to understand fully why they want this information and how they’re going to implement change using the calculations. This initial discussion is also important to determine what exactly a ‘lifetime’ is for a client, as it can vary drastically between industries and business types. A CLV is a similar analysis to other solutions Datamine offers, such as customer churn analysis, loyalty programme evaluation and NPS score – all of which are designed to help clients get a better understanding of their customer. Datamine worked with a client in the fuel industry who wanted an estimated lifetime value of their customers – they wanted to see what a given person’s fuel consumption curve might look like over time, not only within their customer base but across the industry as a whole. 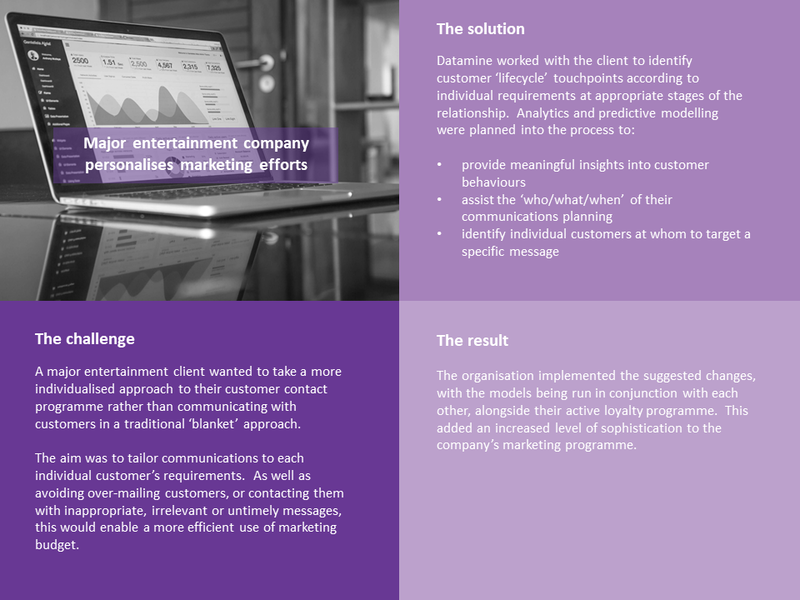 Using the analysis, the client was better able to plan targeted communications and promotions to potentially valuable customers, as well as nurture their existing high-value customer base. What's happening in the world of loyalty schemes? 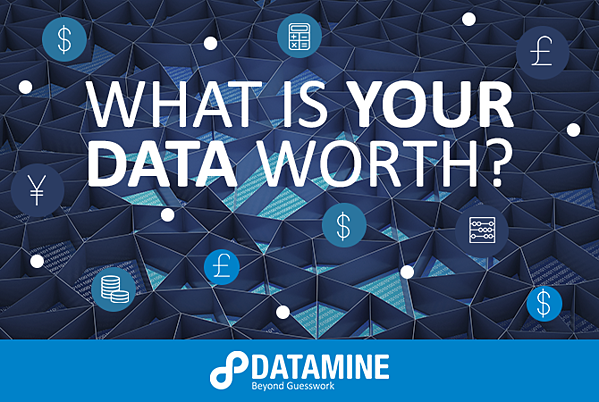 Interested in learning more about how Datamine could help you determine your customers' Lifetime Value? Fill out the form below to schedule a call with us.